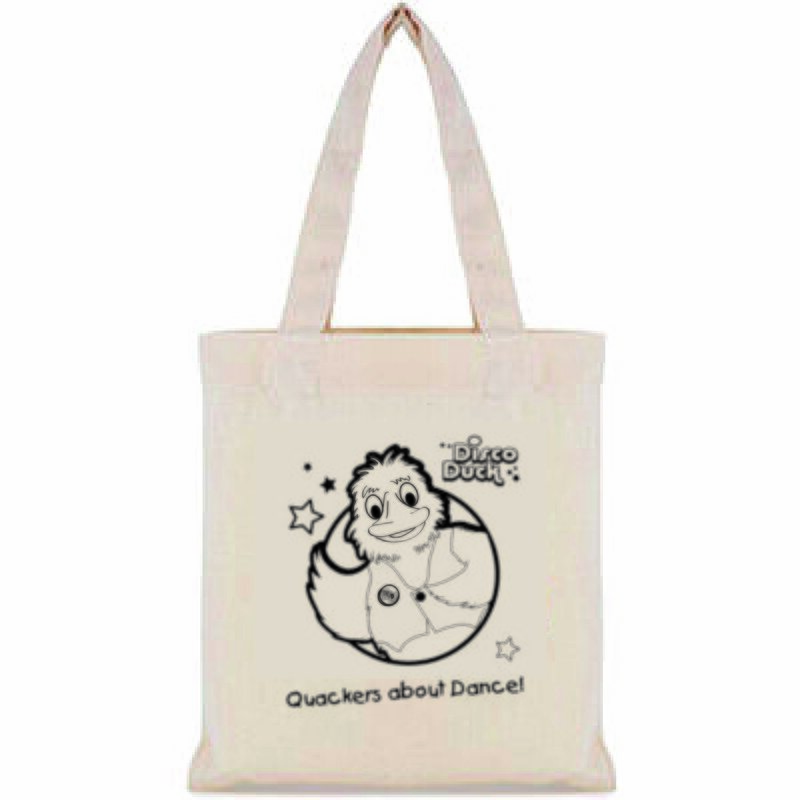 Disco Duck small shopping bag. Sensory, educational & soft toys plus t-shirts, music and more! Great to use for lunches, carrying toys or fill with sweets for a great party bag alternative. Can also be used as a craft activity and the new design can be coloured in.